The extra hands, the extra long hair part, extra front hair part and 1 additional face expression. 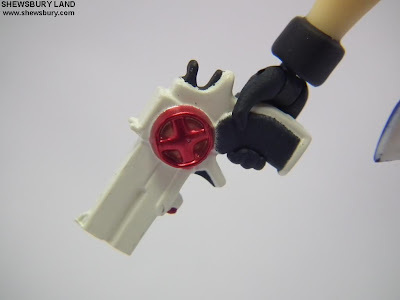 Apart from that... 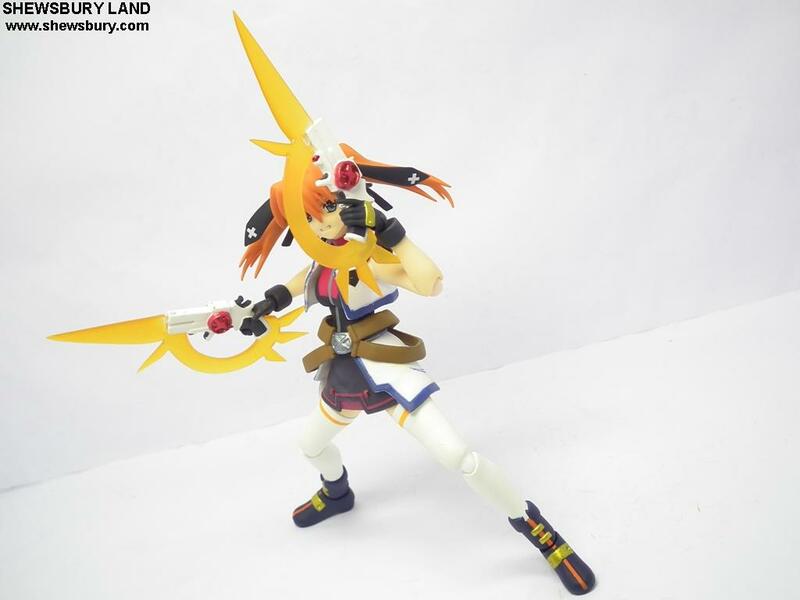 I have no complain at all. 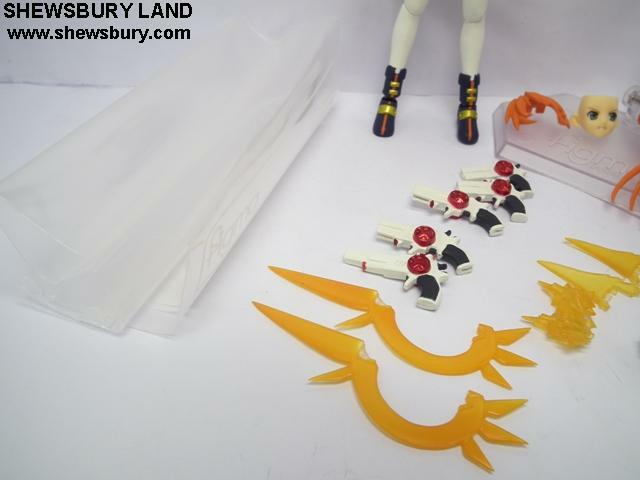 Or you can just order them thru the local hobby/toys shop near you - if you are in Brunei, you can get it from CH-Toynation. If you really love Teana Lanster and love to do masturbation while holding her in your hand looking at her pretty face, apart from this Figma version, you can also get the 1/8 Acsta Teana Lanster which have higher price tag of 9,333 yen (about SGD 150.00 before adding shipment charges) but obviously at 1/8 scale, it is indeed bigger than this Figma version and offer the same amount of accessories and weapons in a bigger size. 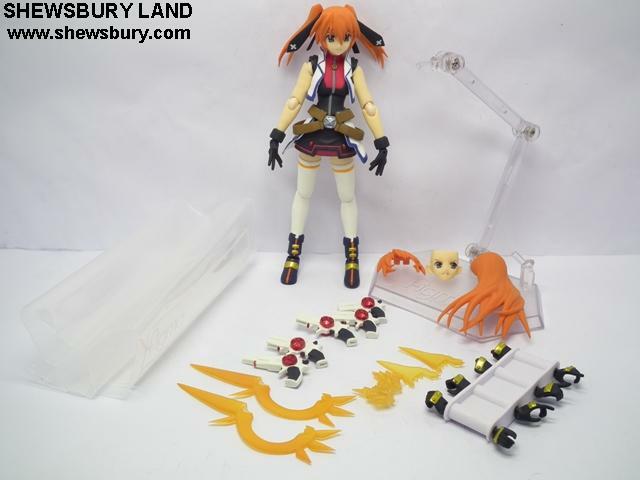 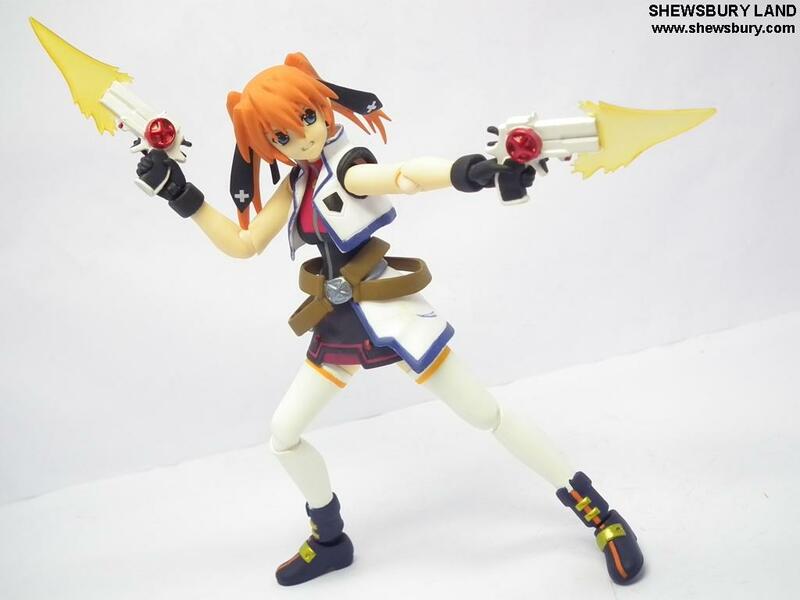 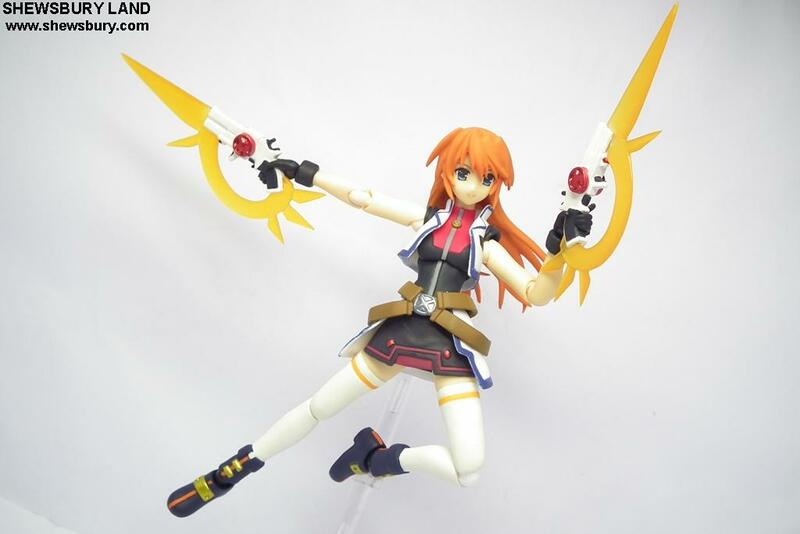 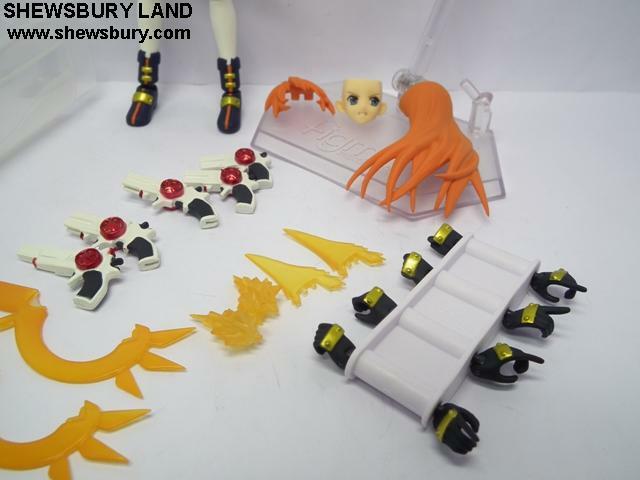 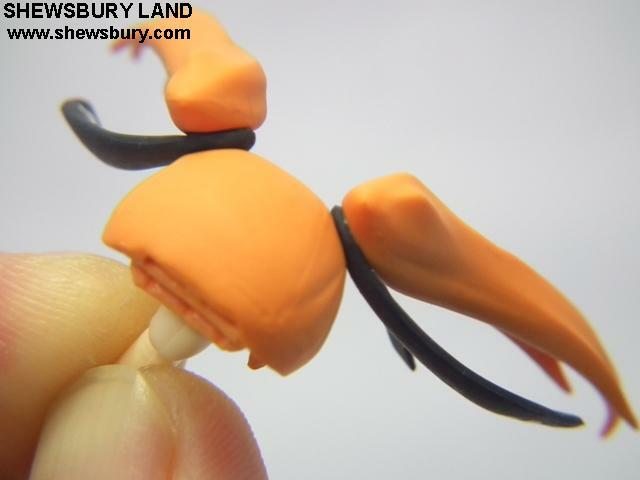 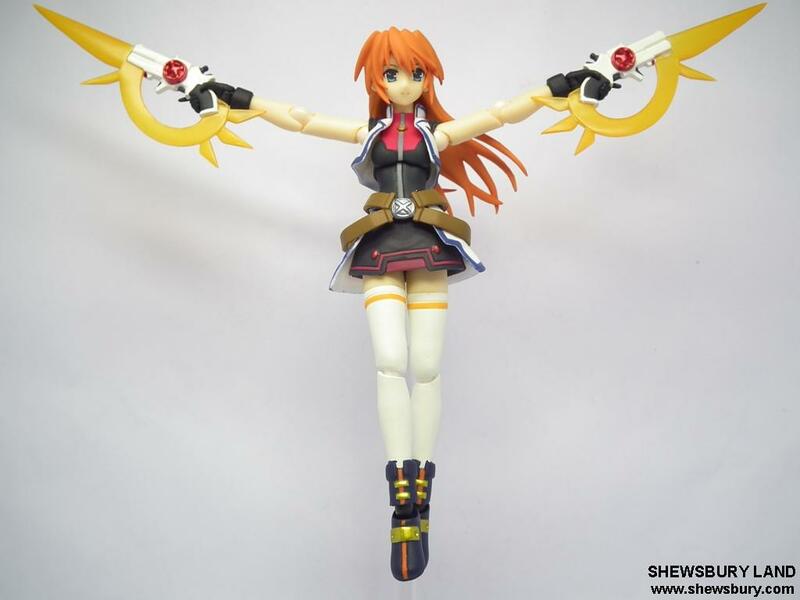 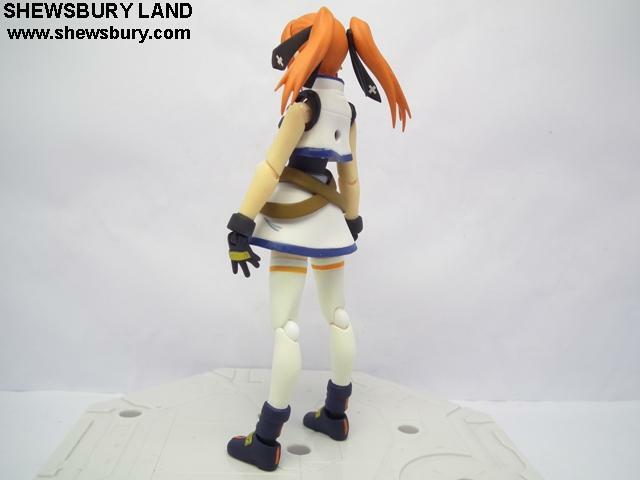 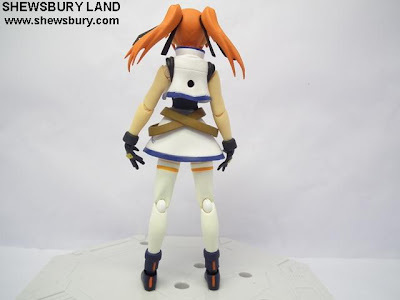 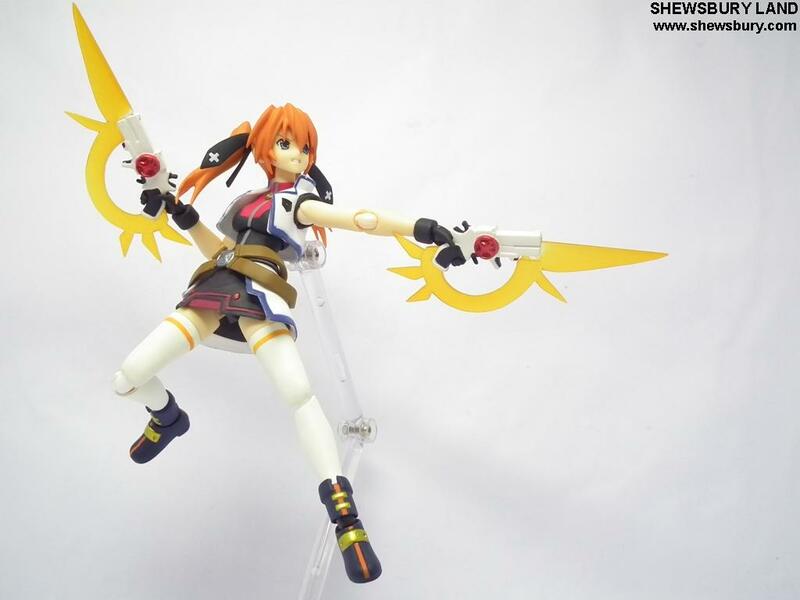 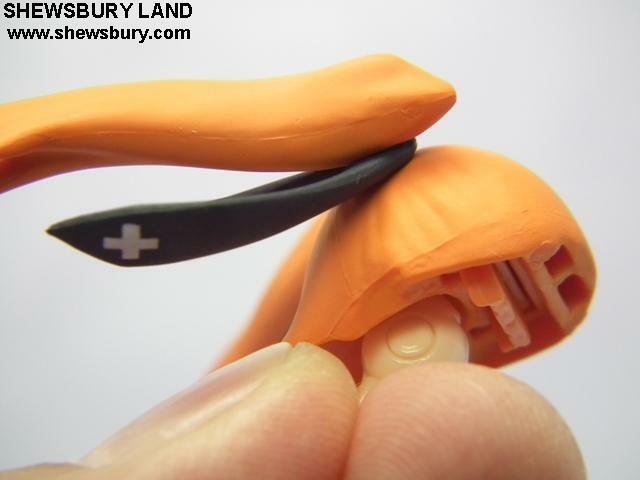 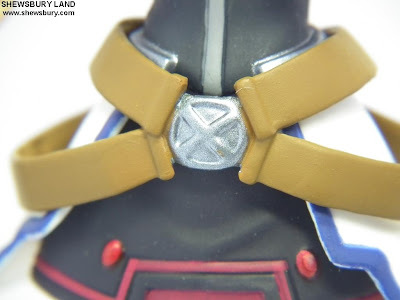 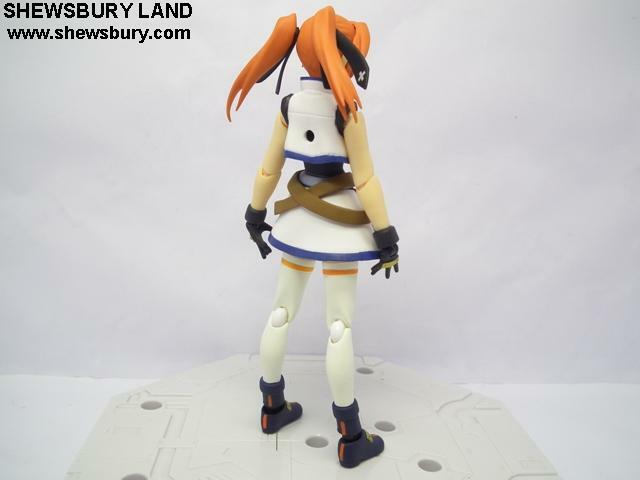 Produced by Good Smile Company, I have a very strong feeling that it was design and developed by the creative team from Max Factory as well. 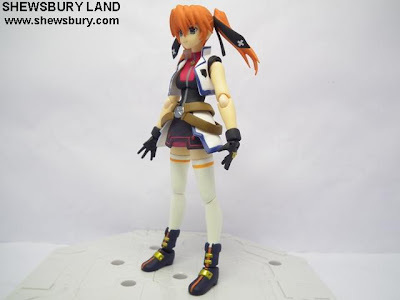 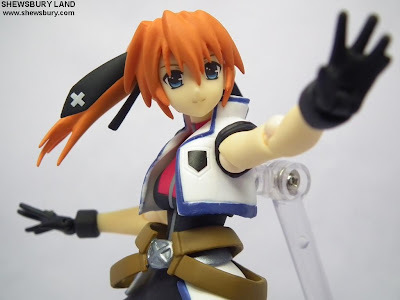 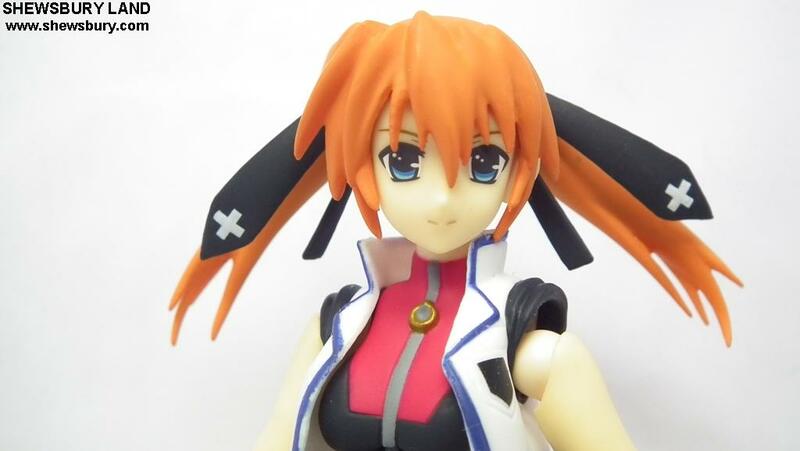 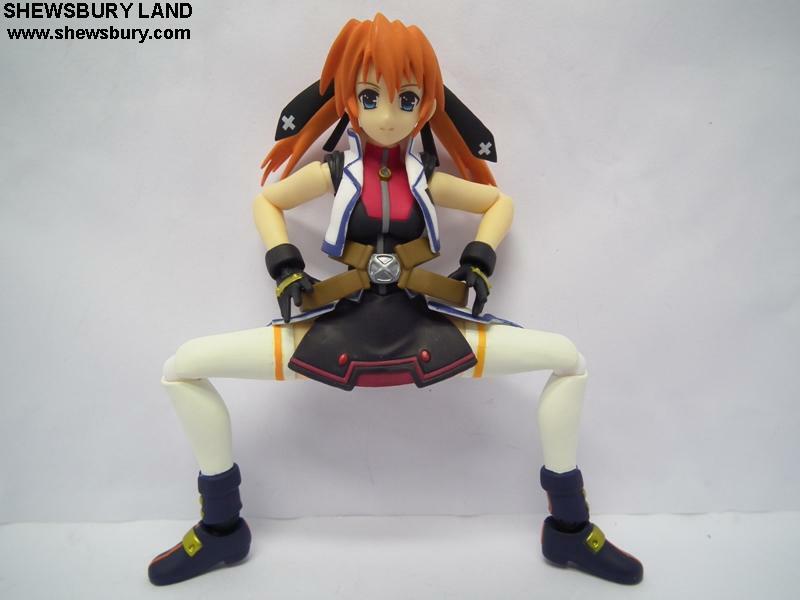 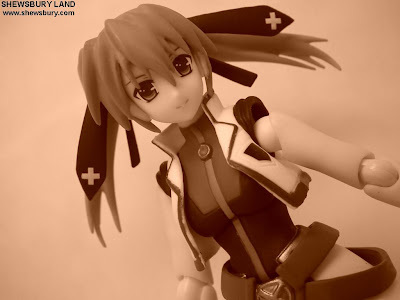 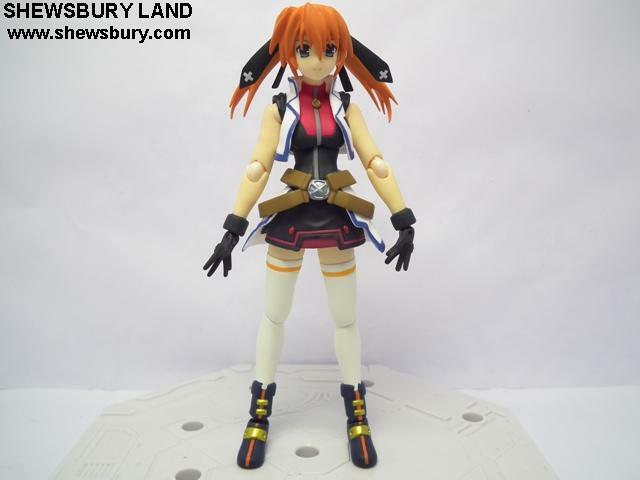 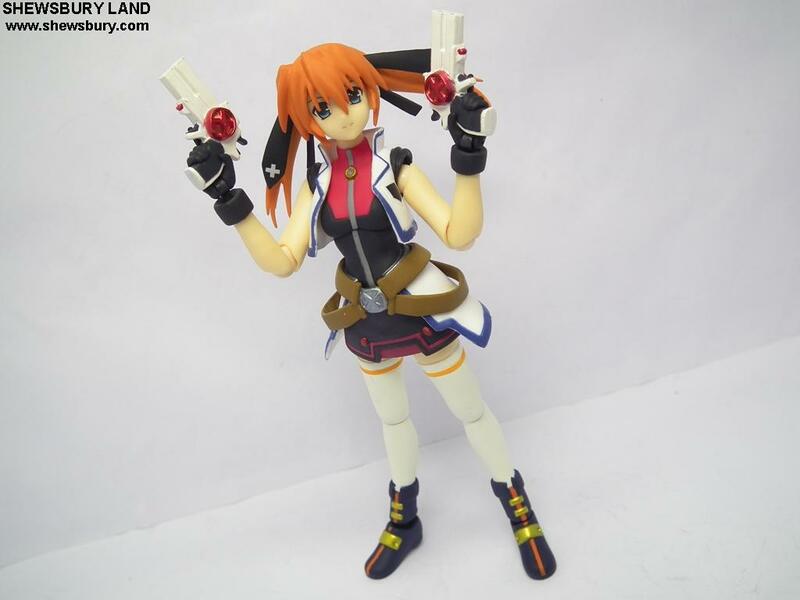 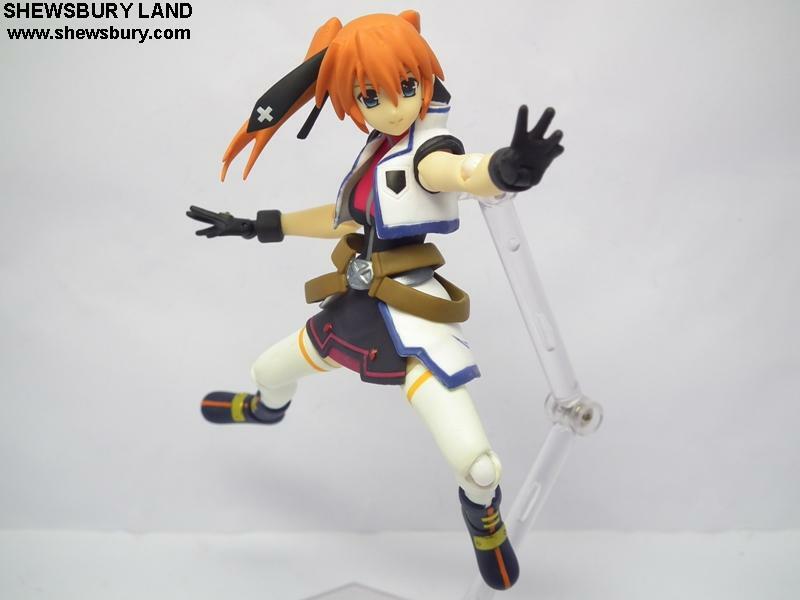 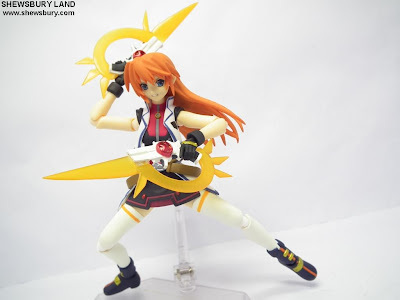 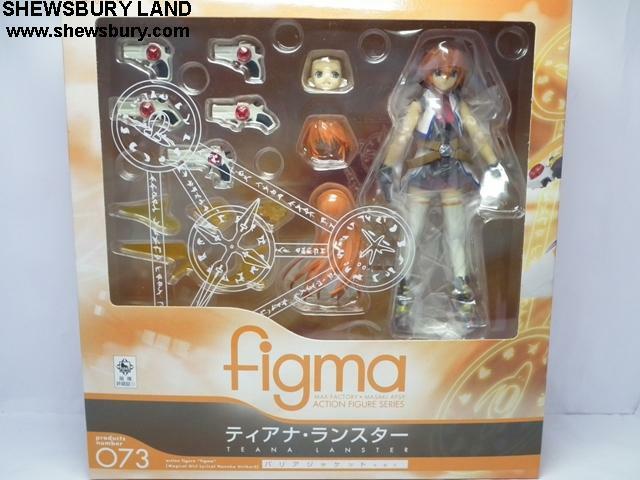 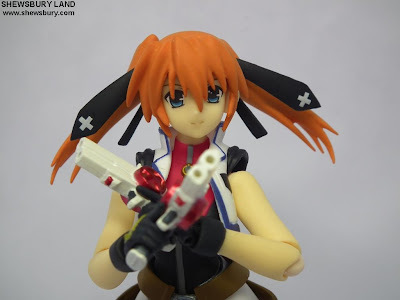 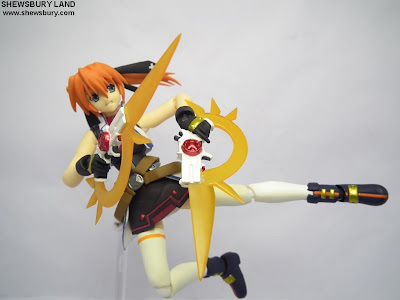 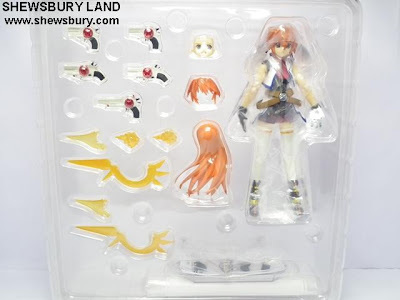 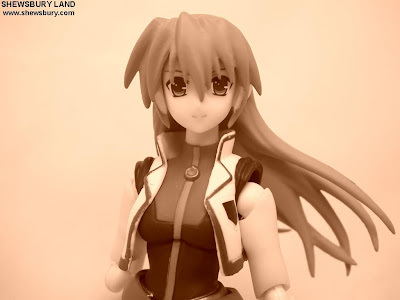 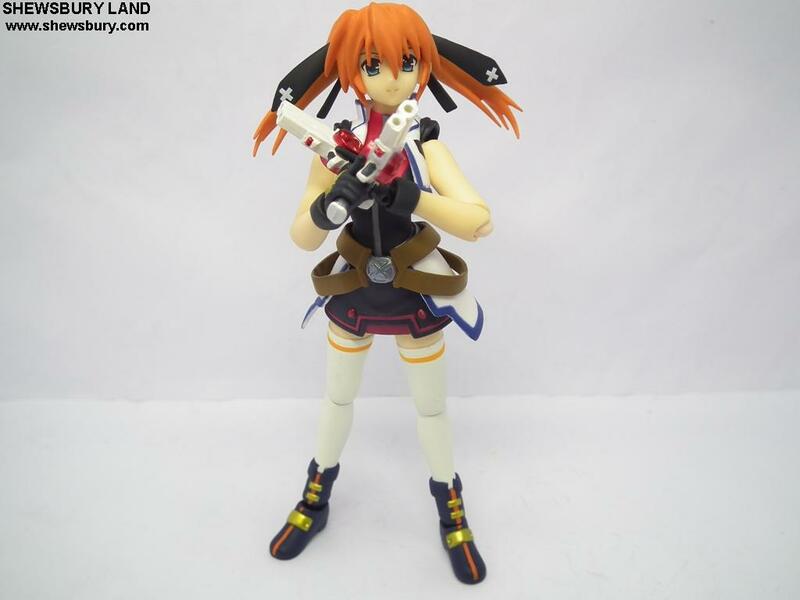 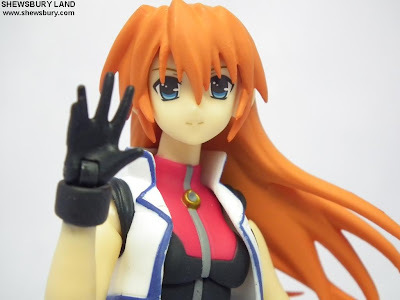 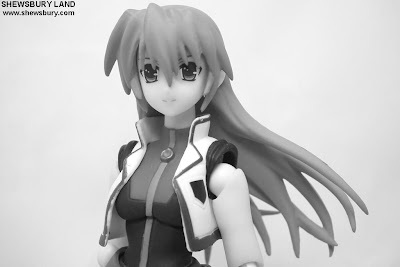 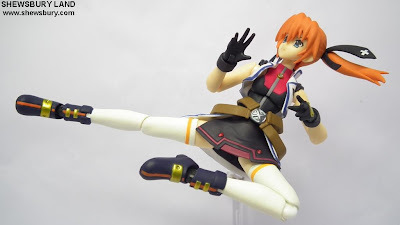 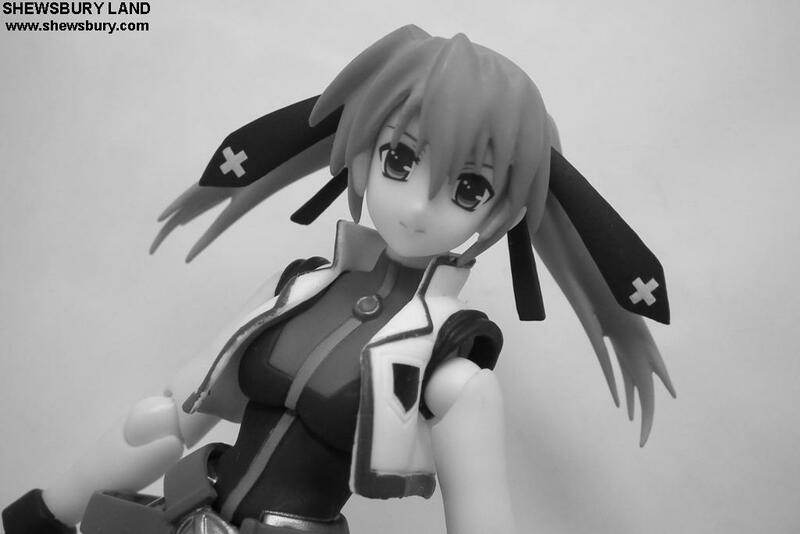 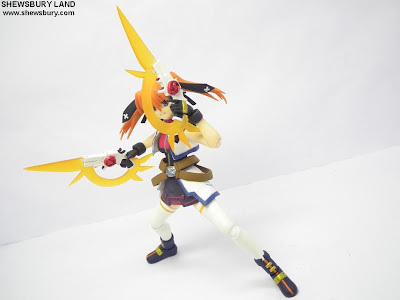 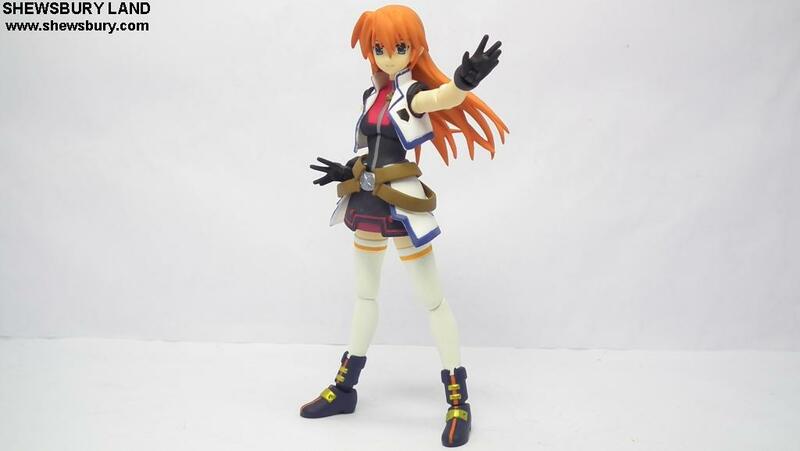 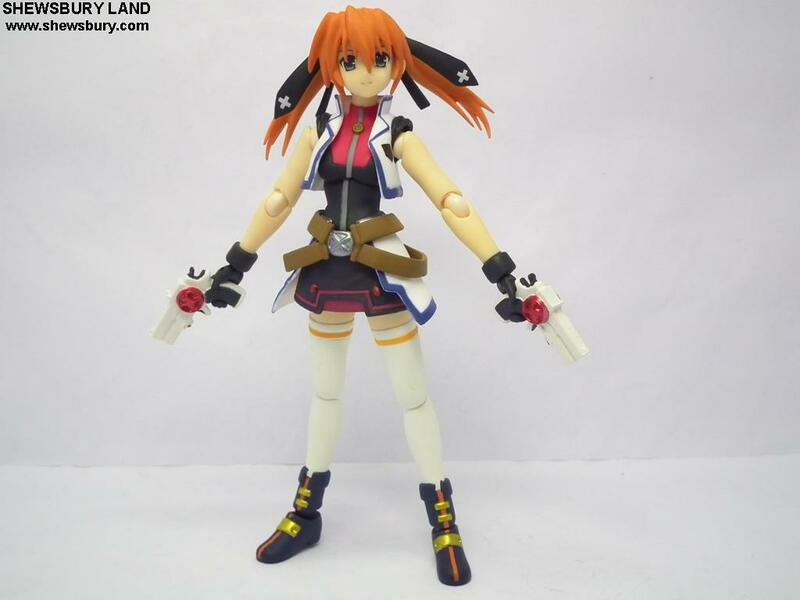 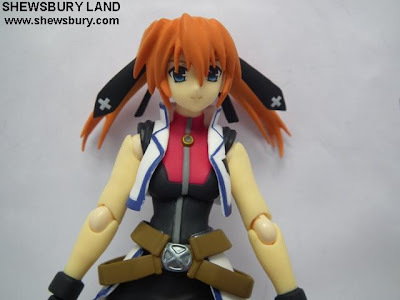 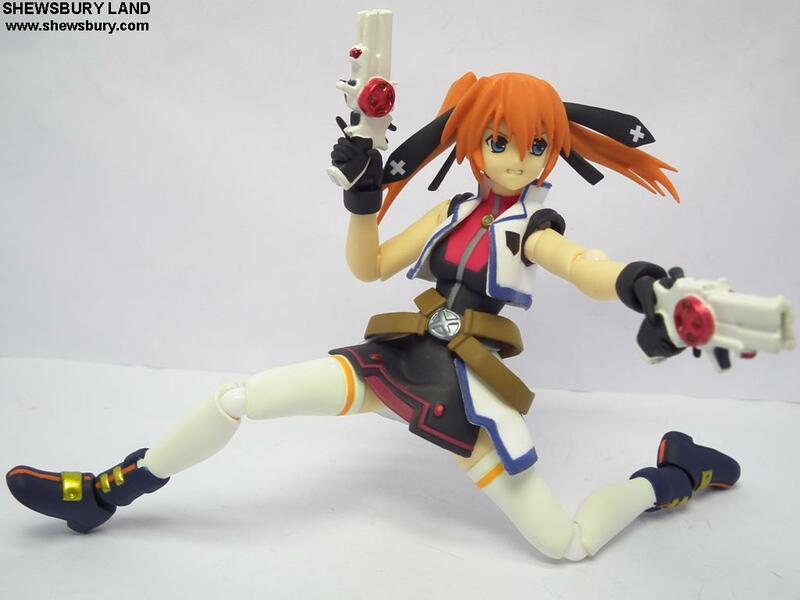 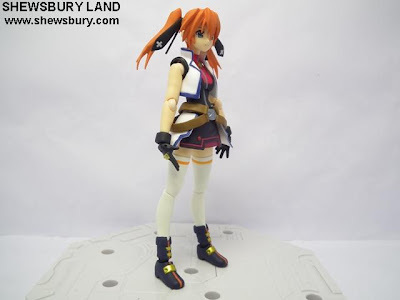 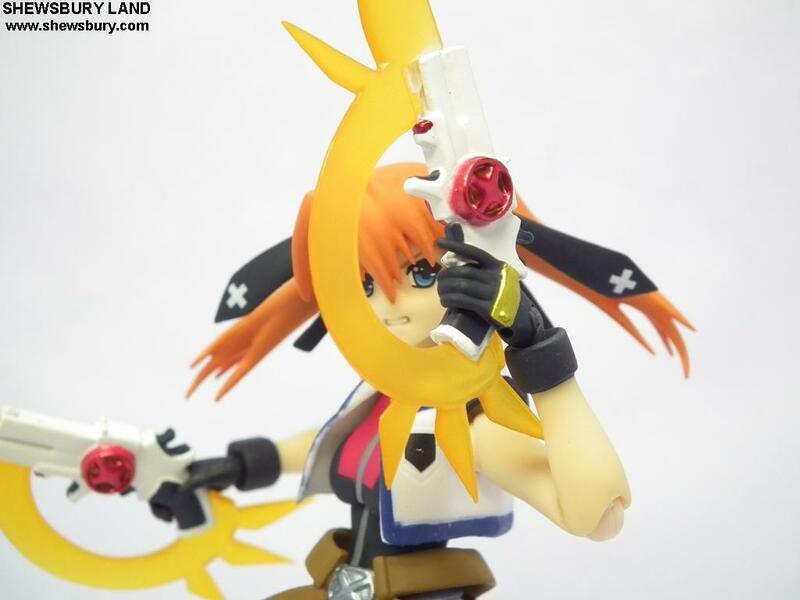 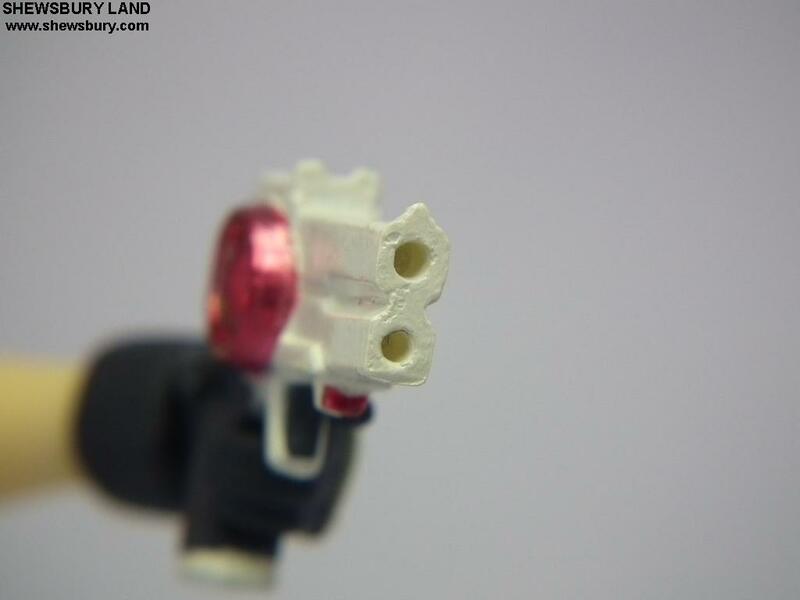 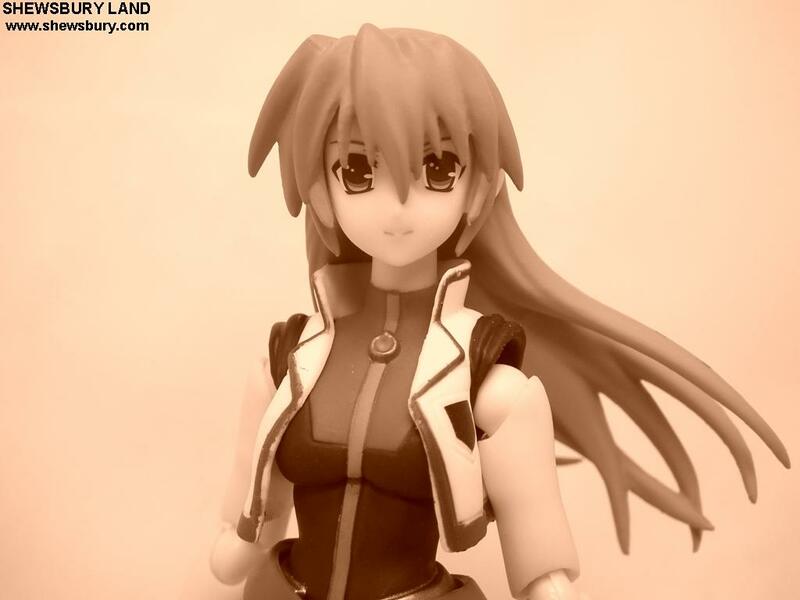 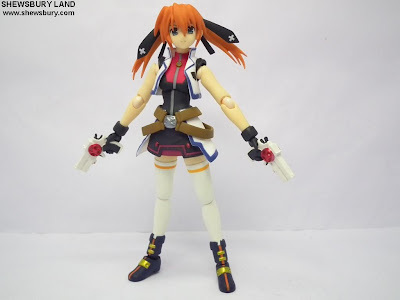 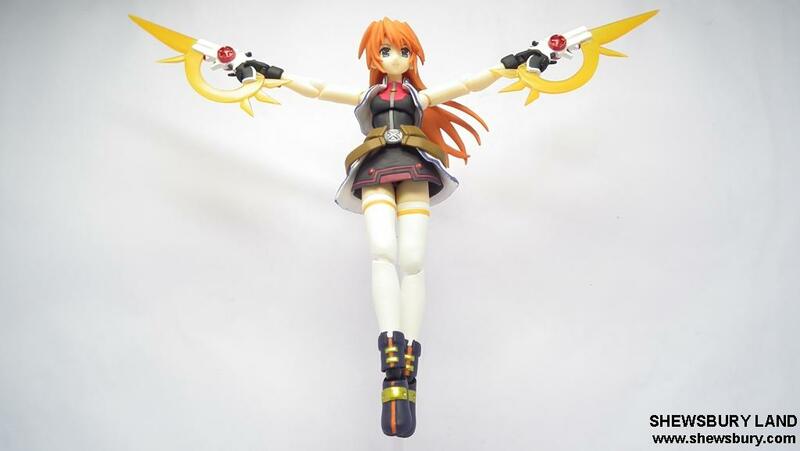 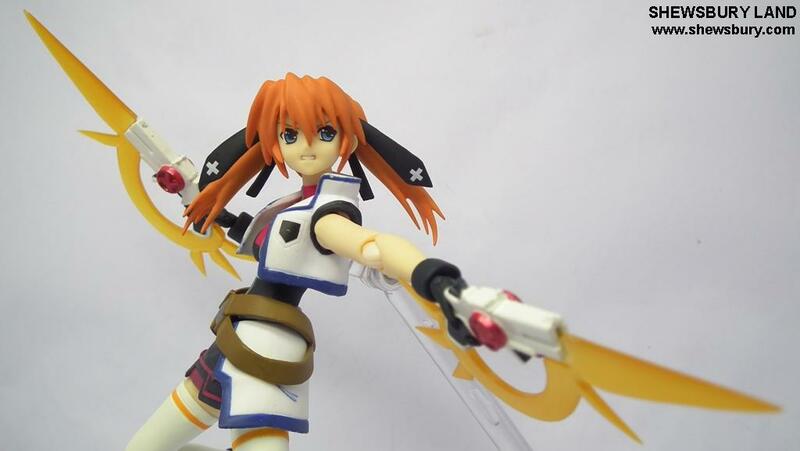 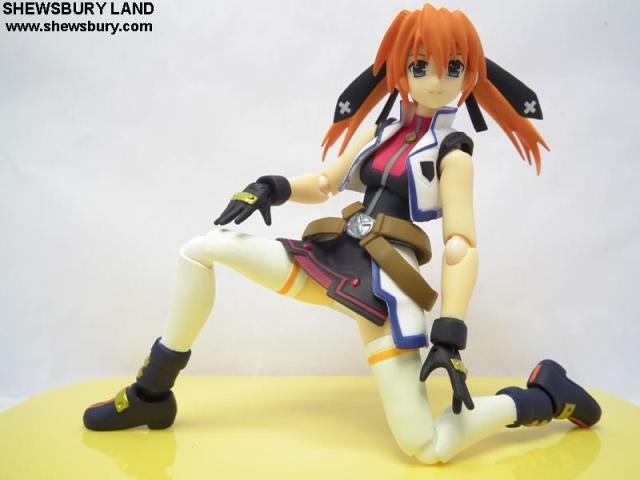 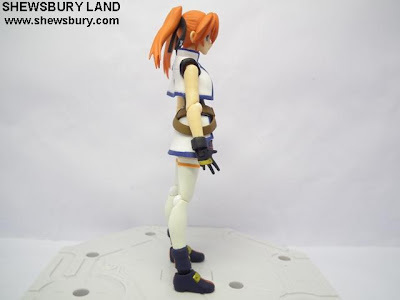 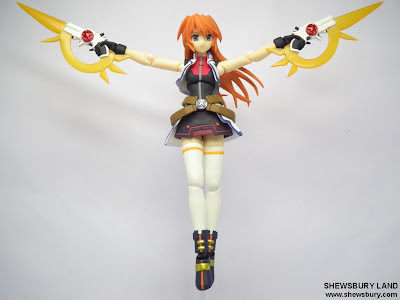 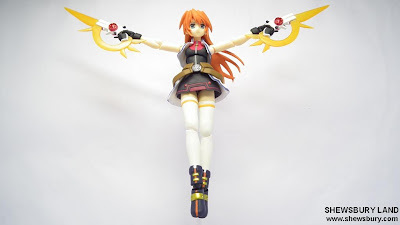 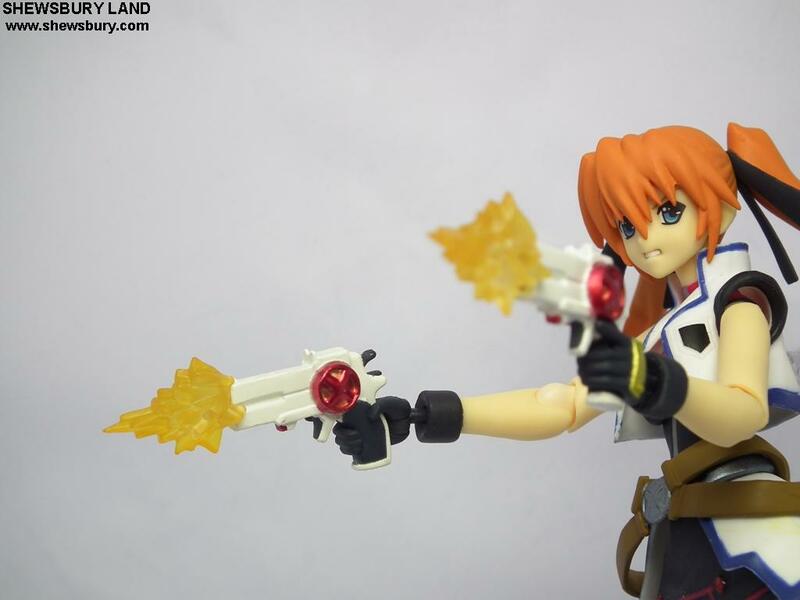 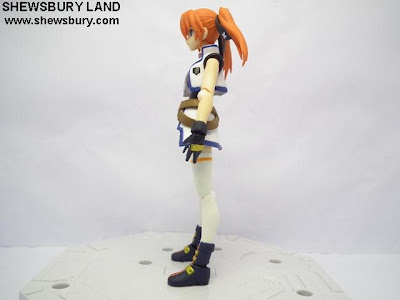 Initially Figma Teana Lanster is scheduled for release in July 2010 together with the 1/8 Acsta Teana Lanster but suddenly "some delay" happen and they release the Figma version on August 2010 instead while the Acsta proceed with the July 2010 release..... ????? 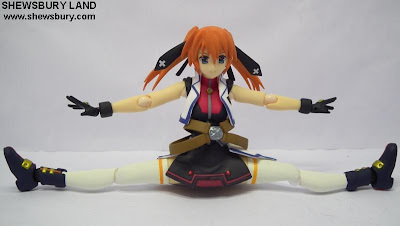 She can do the splits~!? 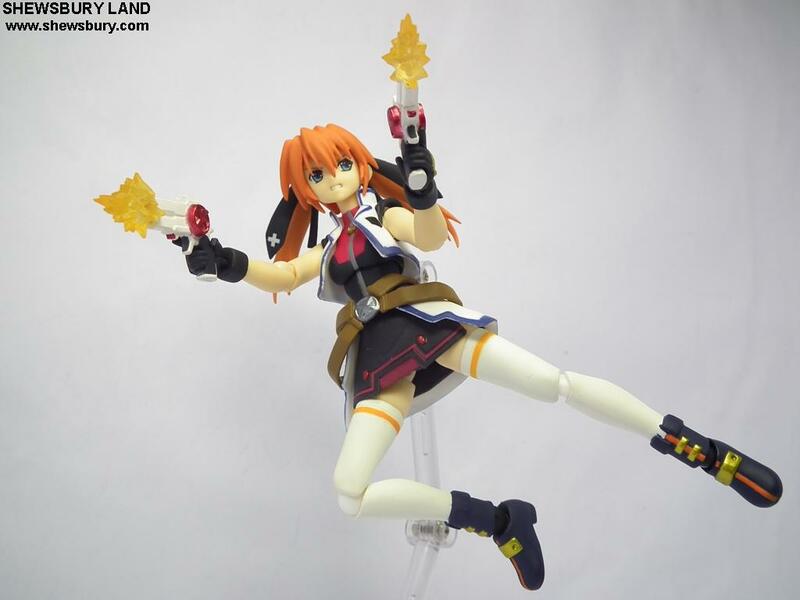 A first for a figma?